You can see how skilled, professional and peaceful Mary is in the bee yard, and it’s always fascinating to see her masterful care of the bees in our apiary. 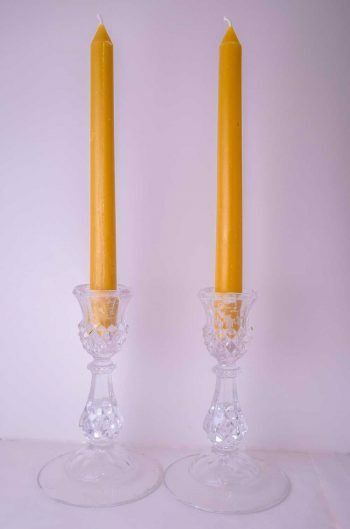 Take a look at our new video, and please don’t hesitate to contact us for your own NJ-produced honey favors and gifts. Our bees have worked hard for you already, and we’re ready to work hard and with the utmost care on your Honey, Honey Favor and Honey Gift Box selections as well! We live in Tinton Falls, NJ which is located between Asbury Park and Red Bank in Monmouth County and we are 5 miles from the Jersey Shore. On a Sunday morning we can drive directly to Times Square in about 45 minutes but we live in a county where there is 40,000 agriculture and woodland acres. And it is in this area that we keep and manage 150 beehives. We have been keeping and managing Honeybees for twenty years, just about the same number of years we have lived in Tinton Falls. After we purchased our 2.5 acres we couldn’t decide how we were going to use our land; plant Christmas tress or keep draft horses. But then we saw the movie UIee’s Gold and we where totally hooked on the honeybee. The next day Ed found a beekeeper in Vineland, NJ who was willing to sell us our 1st beehive and the following week we picked it up. Since that 1st beehive we have grown to a full time small Beekeeping business of 150 beehives and breeding operation. 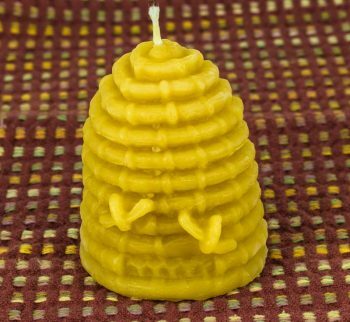 Ten years ago we converted our 3-car garage into a full Honey House and also modified our basement into a beeswax candle workshop. And ten years ago we began a queen rearing operation. Mary and her intern manage our production hives and also our queen rearing operation. 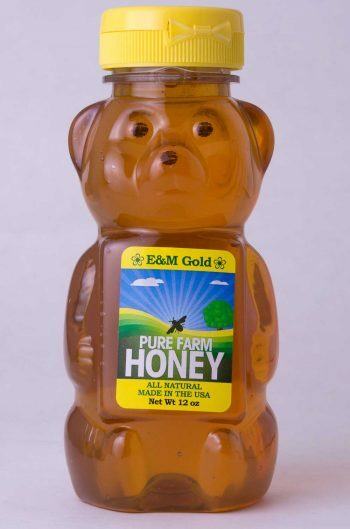 Our honey is harvested from late May to the end of July and during that period, Mary, her intern and Ed harvest the honey which is then brought back to the Honey House. We have had many late night extraction sessions where the temperature in the Honey House exceeded 100 degrees. Mary also breeds honeybee queens from the 1st week of May to the 1st week of August. 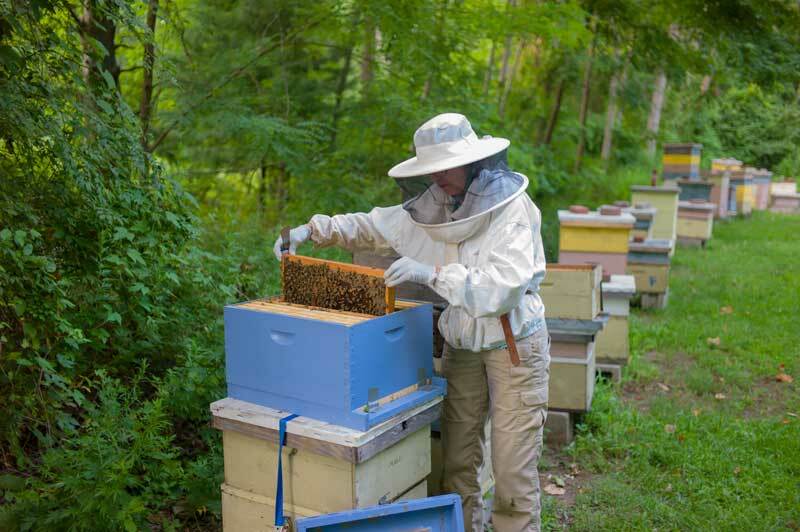 Normally she grafts 600 queens and from them she picks the best 300 queens for our operation and for our beekeeper customers. Mary comes from an agricultural family; her father was a sideline beekeeper in Maryland and Georgia. Early in her career, while working at the Beltsville Agriculture Research Center in Maryland, Mary kept and worked with bees. When Mary and Ed met she was training 17 Thoroughbred Horses at Monmouth Racetrack. 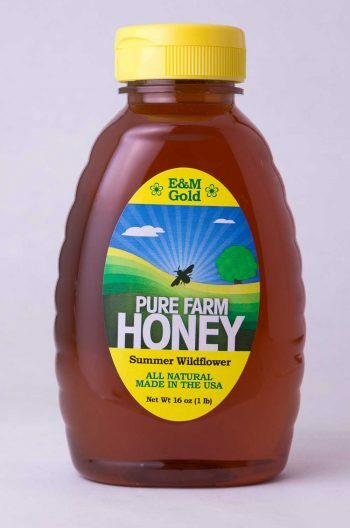 We offer New Jersey Spring and Summer Wildflower, Cranberry, Blueberry and Clover Honeys. 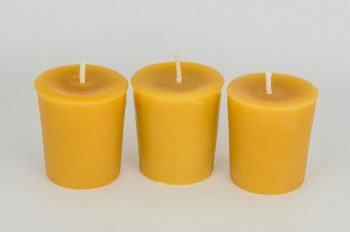 In addition Mary creates Beeswax Pillar, Taper, Votive and Figurine Candles and also offer bulk beeswax blocks and Beeswax Bars. We also make Raw Honey Food Gift Boxes and Honey Gift Sets. 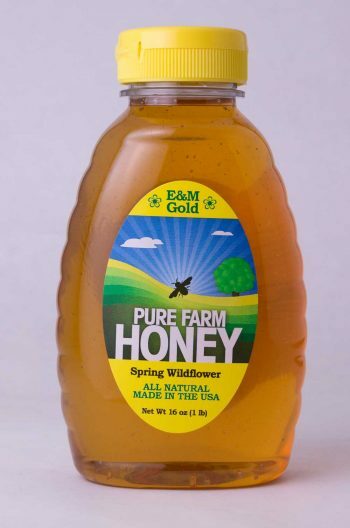 About 8 years ago five of our customers asked if we could produce Honey Favors for their Weddings. From those five Brides-to-Bees we have over these past eight years worked with another 1,200 Brides-to-Bees. In addition we offer custom tags and labels for our Wedding Favors and Baby Shower favors. We have been voted by our Brides-to-Bees the Best of The Knot Wedding Pick for 2012, 2013, 2014, 2015 and 2016! We are very proud of these awards and we really love working with our Brides!